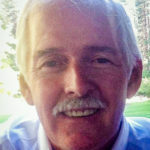 Industry veteran Cliff Wood today joins Percepio as Sales Manager for USA and South America. – Cliff has been working with Percepio informally for some time and many of our U.S. customers may have met him, but today we are happy to welcome him as Percepio’s first regional Sales Manager, says Percepio CEO Johan Kraft. Cliff Wood will work with our distributors in the region to support our customers and increase sales. He will be at Arm TechCon conference and expo in Santa Clara, CA, next week, where you will find him in Percepio’s booth (#217). He is based in California and can be reached at +1 (650) 670-6617 or cliff.wood@percepio.com. Cliff Wood started his career as a Technical Specialist at Western Union International in 1970. In 1984, he started working for US Sprint as a Senior Communication Engineer developing their backbone network for telephone switches. He has also worked as a software engineer at Tandem (later acquired by HP) and spent ten years in sales roles at embedded tools vendor IAR, most recently as responsible for sales in North and South America.